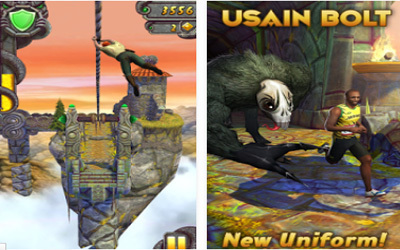 Previous version Temple Run 2 1.37 apk for Android will help you to downgrade or install older app easily. This is one of the best Action apps. Collect Tokens to unlock the new ‘Regal’ outfits for Rahi Raaja and Nidhi Nirmal! New Totem artifacts have been added to the Lost Jungle with an exclusive hat reward! Treasure Chests spawn more frequently!